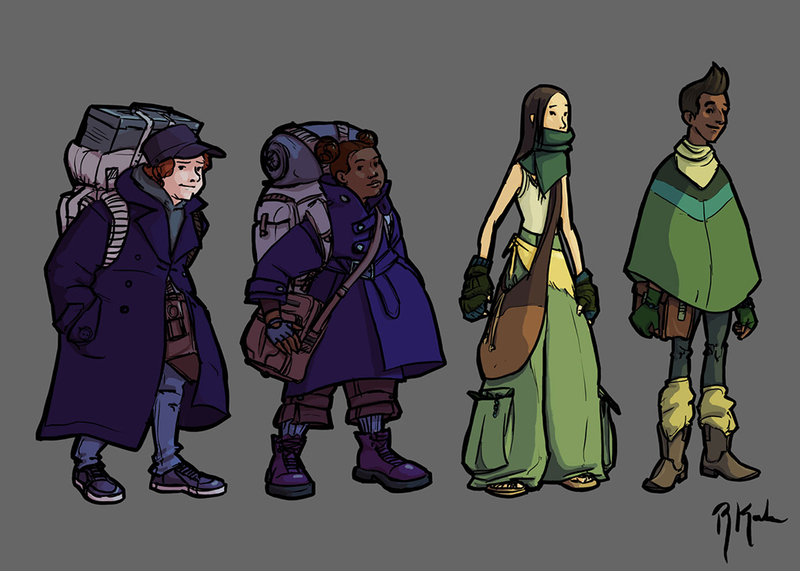 Digital design lineup of four spunky teens off to investigate spirits in their city. Below are some of the process pages used to develop four complimentary designs, focusing at first on shape. Earlier development sketches available below the main image.